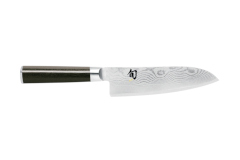 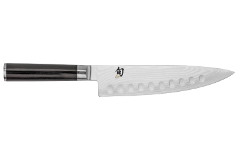 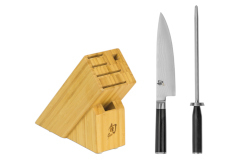 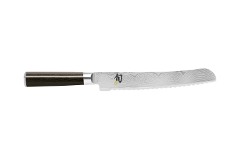 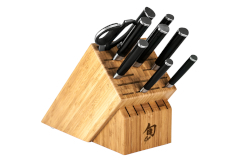 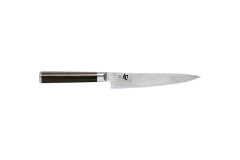 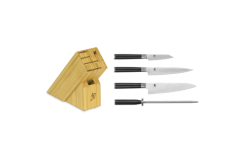 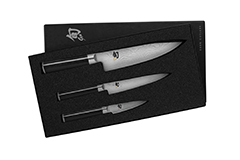 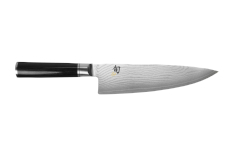 The Shun Classic Series feature a proprietary VG-MAX cutting core, a high-end stainless steel which is extremely hard resulting in an edge that is incredibly sharp and retains that sharpness longer. The Damascus cladding, with its 34 micro-layers of steel on each side to support the core, offers stain and corrosion resistance and helps food release from the blade. 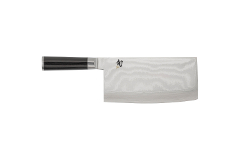 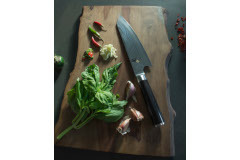 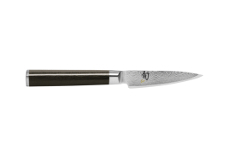 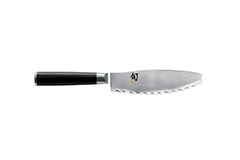 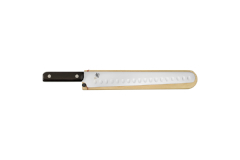 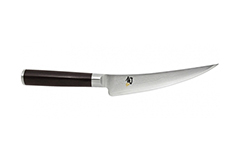 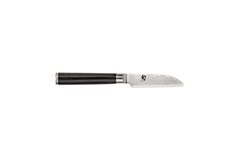 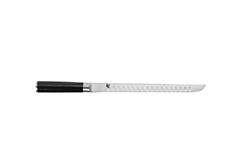 The blade is hand sharpened to a 16 degree angle each side for top performance. 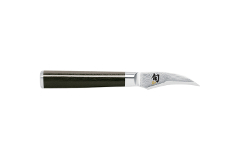 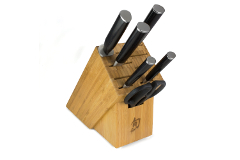 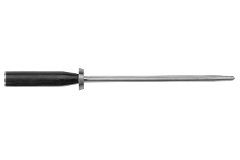 The D-shaped ebony PakkaWood handle is beautiful and durable and does not harbor bacteria.